I've used Brannan's Appliance Repair twice and both times have been very pleased. Recently both our dishwasher and dryer stopped working. We called, left a voicemail, and heard back immediately. Before even coming to the house he did all he could over the phone to get both appliances working. He took down the details and had all the parts he needed when he arrived at the house. He checked the dryer and determined it didn't need any repairs, just walked us through how to get it going again. The dishwasher was fixed and he was all done in about an hour. He was prompt, honest, explained everything he was doing and why it needed to be done, as well as being very polite and pleasant. For any future appliance repairs I will definitely call Brannan's first. This is the third time over the years we've called New Canadian Drain and Plumbing and we always get great service. This time our plumber was Najaf. He came right on time and was very friendly. He took the time to show me exactly what was wrong, and demonstrated the difference between the rusted, corroded parts he was removing and the bright new ones he replaced them with. He also taught me how to tell for myself whether a particular leak was ever caused by the same problem in future. The bill for parts and services was neatly broken-down and understandable, and very fair especially given the time and attention Najaf brought to the work. We are pleased to hear that you are continuously satisfied with our services. Please keep us in mind for any future drain or plumbing needs that may arise. Thank you for choosing New Canadian Drain & Plumbing and we look forward to working with you again. We had our kitchen/office space completely gutted and renovated in October of 2017 by the Home Improvement People and we could not believe how fast and efficient they were. The workers were always a pleasure to have in our home and everyone from the painters to the plumbers showed terrific attention to detail. My house was very old, not square, and this area had not previously been renovated, so we were prepared for issues and delays. Yet, even though they did find mould behind one of the walls, there were no delays at all - they gave us a very reasonable estimate for the additional work to replace the damaged wood, and it had no impact at all on the timeline. We got a completely new and beautiful kitchen in four weeks start to finish. I also appreciated the design expertise that Charlotte brought. We wanted a white, modern kitchen that would not look out of place in our colourful, old-fashioned house, and she gave us terrific advice on integrating the different spaces so that it all flowed smoothly. We would absolutely recommend The Home Improvement People and will be sure to call them first if we have any further renovation work needed. This means a lot to us and Charlotte. I first worked with Toronto Clear View Window Cleaning to have my eavestroughs cleaned and repaired several years ago, and was very impressed with their thoroughness at the time. This year in addition to the eavestrough cleaning they did all my windows and skylights, including deep-cleaning some new windows and screens that had stuck-on construction debris. Kevin spent all day working on my home and did such a great job, we stood on the sidewalk in the rain afterwards to admire how our windows sparkled. Many of our windows are very high up but this was no obstacle to either indoor or outdoor cleaning. I would recommend this company for both eavestroughs and windows, without reservation. Thank you sooo much Jennifer. I'm very happy you found the work performed according to what you would expect, regardless of the challenge some jobs present. I'll be sure to pass the details onto Kevin. Thanks again. Our contractor hired Mancini to install new radiators and through-the-wall air conditioning in our second story extension. They did a great job, and were very friendly and helpful, so we switched to them when it was time to maintain our existing main-floor air conditioner. It was an older and less common model, and we really appreciate that the company took the trouble to send their professional most familiar with this type of air conditioner rather than just the person already working in the house, and we were also impressed with the detailed cost/benefit explanations they provided in terms of repair options. Great service - highly recommended. Roadrunners not only transported our furniture and boxes safely to and from storage, but helped us with all the details of finding the right size and cost of storage. They took care of everything. Very responsive, helpful, clear communication, punctual and completely reliable. Went above and beyond expectations to ensure our property was returned to us in excellent condition. Highly recommended! Thanks for the review Jennifer. We're always looking for ways to make the experience with RoadRunners more valuable to our customers. 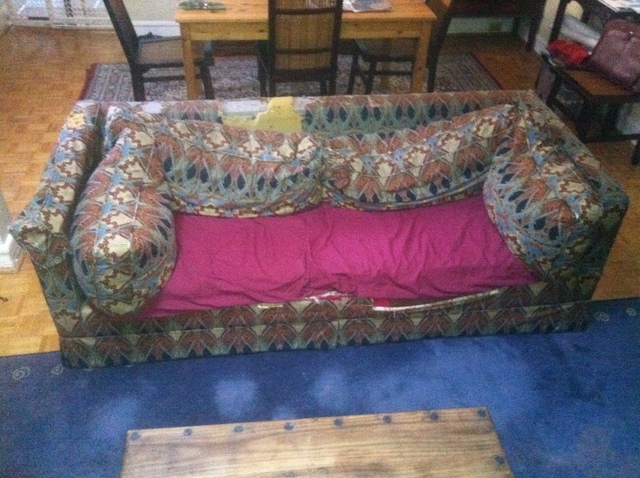 The padding, cushions and fabric on our sofa needed to be completely replaced. 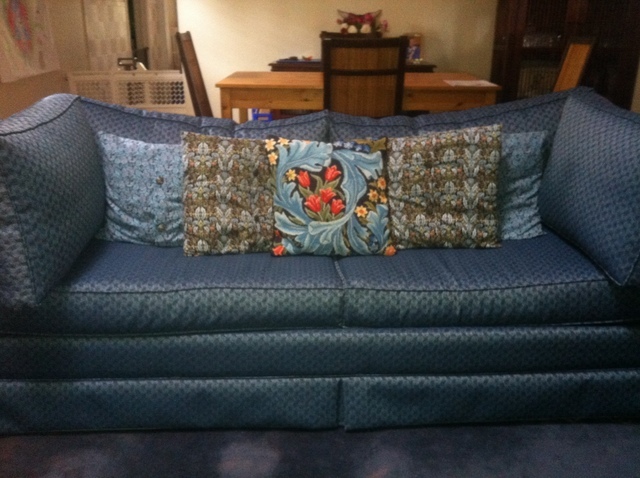 Milton gave us good advice about materials and the sofa looks like new. It took longer than we had hoped (2 months from the first phone call) but the quality was unbeatable - we were very impressed. We would definitely go with this company again.